Get Mixed Case of the Month, Special offers, Upcoming tastings & more in your inbox. Intense morello cherry fruit and a touch of spice on the nose, ripe berry liquorice and a hint of cinnamon spice on the palate, this wine is full flavoured, rich and smooth with supple tannins. Hailing from the Southern Rhone and made from Grenache, Syrah, Carignan & Mourvedre – a classic Rhone blend. 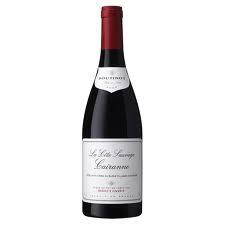 Be the first to review “Boutinot ‘la Cote Sauvage’ Cotes du Rhone Villages Cairanne 2015” Click here to cancel reply.